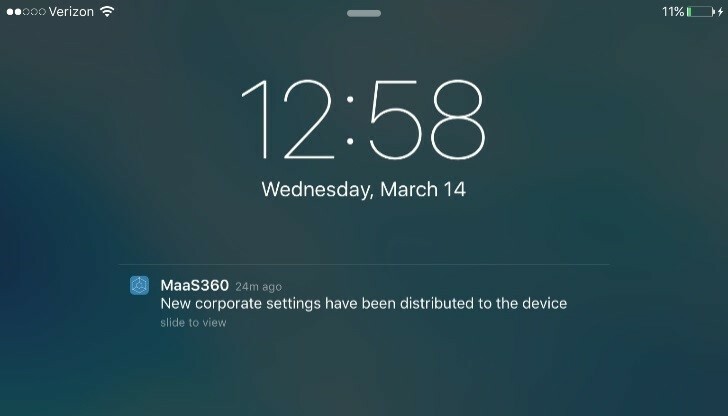 The user will receive a notification that there has been an update to the MaaS360 corporate settings. 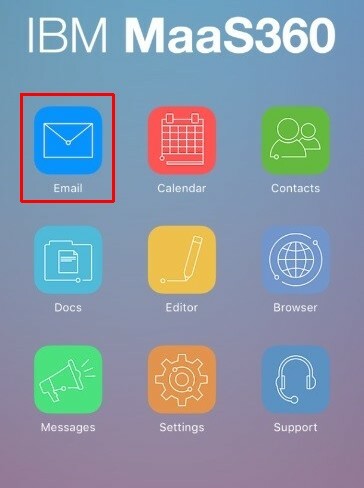 The user must open the MaaS360 container and open the email application. The user must press Sign in after the certificate has successfully downloaded. 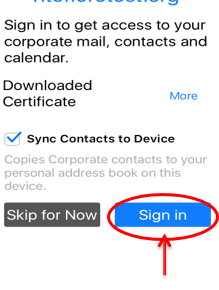 Email will begin to sync after authentication.